In our quest to review every life insurance company in the US we stumbled upon Reliance Standard Life Insurance Company (Reliance Standard). The Company focuses on employee benefit solutions, offering products such as disability income, group term life and voluntary insurance. In the following Reliance Standard review we will address the company’s history, financials, ratings and products and services. Is Reliance Standard the best choice for you? History – Celebrating over 110 years in business, Reliance Standard is one of the most experienced life insurance carriers in the industry. However, they’ve found their niche in employee benefits and this is where they excel today. With group term life insurance, disability insurance, and various other policies for employers, Reliance Standard is available right across the country except for New York, where First Reliance Standard Life Insurance Company is the carrier of choice. Although Reliance Standard has grown somewhat over the years, it’s now a part of a much larger team with Tokio Marine Group. Listed on the Tokyo Stock Exchange and incorporated in Japan, this group is huge all around the world and their businesses focus on three main principles; delivering on all commitments, looking beyond profit, and empowering people. Financials – Is Reliance Standard a large company? Well, it only takes one look at their assets to answer this question because the current figure is at nearly $11 billion. In addition to this, the company earned a total of $1.5 billion in income from operations and a further $3.8 billion in cash from investments. With these levels of income every year, they sit as one of the most profitable life insurance companies around (despite their mantra of looking beyond profit!). With both Reliance Standard and the Tokio Marine Group, finances simply aren’t an issue and your policy should be safe for the future. Even if you’re purchasing life insurance now for an event that’s likely to occur in 50 years’ time, this is one of the safest providers you’ll find. A.M. Best – With all the financial information we’ve just seen, perhaps it won’t surprise you to hear that the company has been awarded with an ‘A+’ rating from A.M. Best. After reviewing their financial information extensively, the agency feels as though the company is ‘Superior’ in their financial position. As the second-best rating in the scale, this is actually a tough rating to achieve. With most of the reviews we’ve done, even the most successful and well-known companies tend to float around the A and A- ratings so Reliance Standard really are secure. As you may know, A.M. Best also produce a Long-Term Issuer Credit Rating and this is where many companies will get ‘Good’ or ‘Excellent’ scores. For Reliance Standard, this is ‘Superior’ once again as an ‘aa-’. In truth, it just doesn’t get any better than this and you’re not likely to find many companies who have these ratings for the short- and long-term. Standard & Poor’s – At this point, you should have a good overview of their finances but we also have access to a rating from Standard & Poor’s. With a slightly different ratings system, Reliance Standard has an ‘A’ rating here and this is still classified as ‘Excellent’. Better Business Bureau – Within the business world, they often say ‘you can’t have everything’ and perhaps this is the case for Reliance Standard since they have a ‘B-’ grade with the Better Business Bureau (BBB). 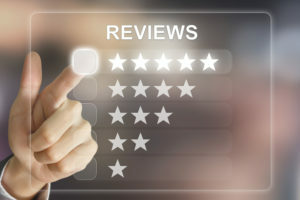 Initially, this may seem a little disappointing because the majority of companies these days seem to maintain an A rating without any issues. However, we also need to put the grade into perspective because a B- still constitutes a score of up to 84 out of 100. While not the best, this is still respectable. Before choosing Reliance Standard, we advise talking to friends/family and reading online reviews. For the most part, customers are happy with Reliance Standard but there will be others who have had problems so make sure you feel comfortable before proceeding. As mentioned previously, Reliance Standard is very much focused on helping businesses to set up insurance options for their employees. When looking through the options, one thing we noticed is that they like to keep things simple and we can respect this. Starting with the biggest two policies, let’s take a look through what they offer to see if any appeal to your needs. Reliance Standard is one of the best disability insurance companies for employer based benefits. The company offers both short-term and long-term disability insurance for income protection and replacement due to an injury or illness. Group Short-Term Disability – Firstly, short-term disability insurance allows your employees access to 70% of their income if they’re forced away from work for a short period of time. With $2,300 as the maximum weekly benefit, this means they can continue paying bills and all other expenses while work isn’t an option. With Reliance Standard, these payments have a limit of 52 weeks but there are options for partial and residual payments; these are offered and calculated on a case-by-case basis. In addition to illnesses and injuries, this policy will also cover maternity as any other illness which may make this leave that little bit easier. Group Long-Term Disability – For those more serious injuries and illness, long-term disability insurance offers a benefit percentage of up to 66% of one’s salary. Per month, the limit on payment sits at $24,000 and employees aren’t forced into an earnings test. Income benefit percentages that you can choose for your employees range from 40% up to 66 ⅔%. This makes the LTD policy an excellent choice for all level of employees, but you may also want to consider supplemental disability insurance if $24,000 is not enough. With Reliance Standard, they offer several features for this policy to make it worthwhile. An own occupation definition of disability is available for 12-60 months, or long term. In addition, other long-term disability insurance benefits includes elimination periods of 30 days up to five years, professional Social Security advocacy, partial and residual benefits, guaranteed rates for up to three years, and RSL LeaveManager. With the latter, this is a web-based system where everything can be managed all in one place. With various reports, employers can quickly assess employee absences in an attempt to keep them to a minimum. Over time, Reliance Standard say this helps to reduce costs, improve productivity, and keep customers happy. Group Term Life (Accidental Death & Dismemberment) – With term life insurance, all employees are protected against death with a basic plan. Depending on the individual case, the policy can be adjusted with a waiver of premium rider, accelerated benefit rider, counseling services, and family/medical leave of absence coverage. So long as your team has more than ten members, this option will be available to all active full-time or part-time employees. If necessary, individuals can convert their policy to a permanent life insurance option to ensure their loved ones receive a lump sum after passing away. Group Dental and Vision – Depending on the needs of your employees, Reliance Standard actually offers several dental and vision plans. Starting with dental care, these flexible plans can be added to a package with other policies or they can be written as stand-alone policies. After choosing from several full plans, a specific level of care will be covered whether this is preventative care, major procedures, or just basic appointments. Elsewhere, there are also orthodontia benefits available with the policies and users can save money for prescription drugs so long as they visit one of 60,000 pharmacies across the country. If you want to provide your employees with dental care, Reliance Standard excels in flexibility and this allows you to tailor the service for your own employees (something that can’t be achieved with all providers). Next up, we have vision care and this is more of the same. With flexibility and tailoring as a key factor, the basic coverage provides comprehensive eye exams in order to check vision while also looking out for glaucoma, high blood pressure, and diabetes. For the most part, these examinations will take place once a year and, if it’s necessary to make your business more attractive on the job market, contributory plans are available. If you want to pay 25% or even 50% to attract the biggest and best talent in the market, this plan can be arranged. RSL SmartChoice – Assuming your group has fewer than 19 people, this RSL SmartChoice package is designed to provide the ultimate coverage for small businesses. With a combination of dental and vision care, short-term disability, long-term disability, and life/AD&D policies, employees have the highest level of care across all areas of their working life. Per month, the maximum benefit reaches $7,500 and the policies have a guaranteed issue feature which means there are no medical examinations or health questionnaires. Covering 60% of one’s income, elimination periods are 60, 90, and 180 days and even pre-existing medical conditions can offer benefits of up to 30% of income. Depending on the number of lives in your business, the package changes so you’re always getting the best deal for yourself and your team. Business Travel Accident – These days, the world is more accessible with cheap flights and affordable travel regardless of where you go. If your employees tend to travel for their job, business travel accident insurance is available with Reliance Standard. Whether you want to cover just business or business and pleasure, this policy protects against all accidents and you can even include company-owned aircraft (and their pilots) on this list. Other Products – With the main services covered, we should also note that Reliance Standard digs deeper than we could ever cover here today. As well as certain e-services, they offer some voluntary group policies and this includes critical illness insurance and hospital indemnity insurance. With these, your employees can choose their level of coverage against things like heart attacks and stroke. If an employee is forced to stay in hospital for a period of time, these voluntary policies jump into action and provide the right people with the right money. All things considered, Reliance Standard has over 110 years in the market now and it looks as though they’ve spent this time wisely. When it comes to varying needs, Reliance Standard understand this which is why policies are tailored for you, your employees, and even their families.